SF Music professor Dr. Mitch McKay. October 30, 2018 – The world premiere of a new piece of music will be a highlight of the free piano recital offered by Santa Fe College music students beginning at 7:30 p.m. Tuesday, Nov. 13, 2018, in the SF Fine Arts Hall on the Northwest Campus. McKay will also perform the world premiere of “Fantasia,” which was written by Dr. Sheila Forrester, a faculty member in the SF Music department. Forrester has a Ph.D. in music theory and a Doctor of Music degree in composition, both from Florida State University. She has written music for choirs as well as music for a brass trio, solo clarinet and viola. McKay has a doctorate degree in piano performance from Michigan State University. 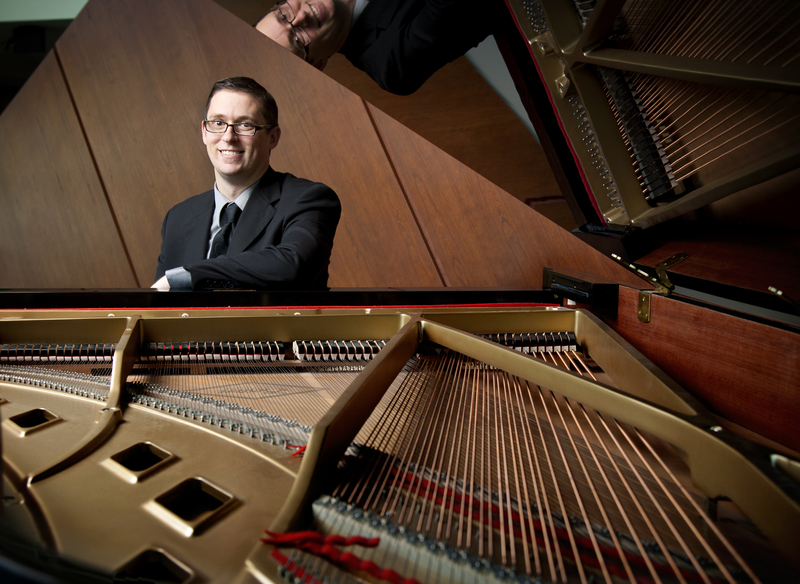 His Santa Fe College students have been recognized in various competitions in the Southeast, including the Foundation for the Promotion of Music’s Sonata Festival, the Florida Federation of Music Clubs Festival and the Alcorn State University Piano Competition in Mississippi. For more information about the piano concert, call McKay at 352-395-5144.